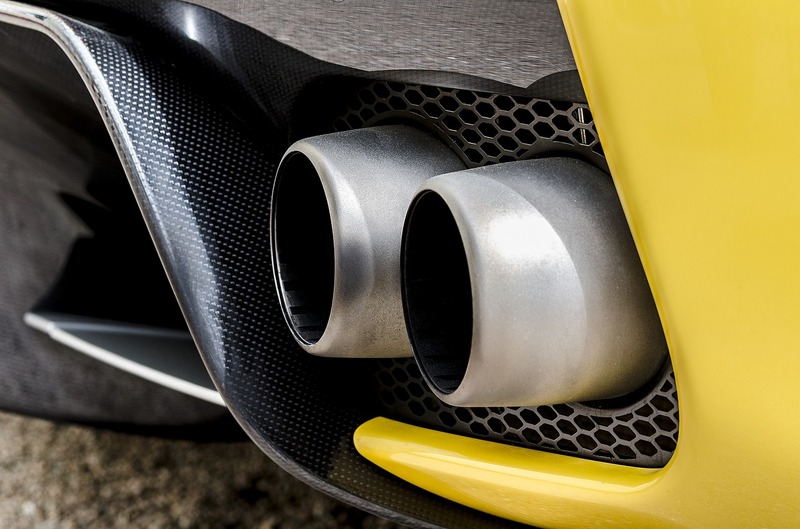 WASHINGTON (CN) – Setting the stage for battle, President Donald Trump’s latest promise to roll back vehicle emission standards came just a day after 11 states challenged automakers in court. Trump had been meeting with leaders of the auto industry leaders in Detroit on Wednesday when he slammed Obama-era fuel mandates that require vehicles to achieve an environmentally friendly 54.5 miles to the gallon. But lawmakers in California pumped the brakes that afternoon, saying that a “cynical ploy by the Trump administration and auto manufacturers to roll back vehicle pollution standards” won’t go forward quietly. Just a day before Trump’s appearance, California Attorney General Xavier Becerra and Gov. Jerry Brown filed a motion with the D.C. Circuit to intervene against a challenge there by the Alliance of Automobile Manufacturers. The alliance wants the federal appeals court to overturn a January decision by the Environmental Protection Agency that set vehicle fuel pollution standards for 2022 to 2025. The standards were originally adopted in 2012 as part of an agreement between manufacturers, the United States and the California Air Resources Board. With California throwing a wrench in the mix, however, the Democrat attorneys general from New York, Massachusetts, Maine, Maryland, Oregon, Rhode Island and Vermont issued a statement in support of Gov. Brown’s motion. Gov. Brown also fired off a letter on Wednesday to EPA administrator Scott Pruitt. Brown’s letter to Pruitt includes a 121-page report of how fuel standards have been successful in his state. The governor also sent letters to Mitch Bainwol and John Bozella, presidents of the Alliance of Automobile Manufacturers and the Association of Global Automakers respectively. This, in effect, Brown added, would increase dependence on foreign oil and raise greenhouse gas emissions by 540 million tons. “Please be advised that California will take the necessary steps to preserve the current standards and protect the health of our people and the stability of our climate,” Brown warned. If the intervention is successful, California would be able to prevent attempts to undo the standards.